Before I had this circle of crazy friends (ehem, Drinkers), I had another group of friends and we fondly call ourselves back then "ChE-Cute" (very, very lulzy). I'd rather not discuss the origins of the names and I really don't know why there should be names. LOL. You remember this back then, you'd go to Tronix and have a group picture taken and they all have this picture packages so everyone gets a copy? Hahaha. This is it exactly right here. There was a brief period in my life when I was always alone, I would stay at fire exits near our classrooms during long breaks with no one to talk to, just earphones glued to my ear. And suddenly, they were there, asking me if I was alright (HAHAHA) and that was the start of our wonderful friendship. And I was not alone anymore, I actually had friends to have lunch and breaks with, have meaningful conversations with and best of all, friends to share assignments with. They even gave me this during my birthday! Hehehe. I miss being in college! 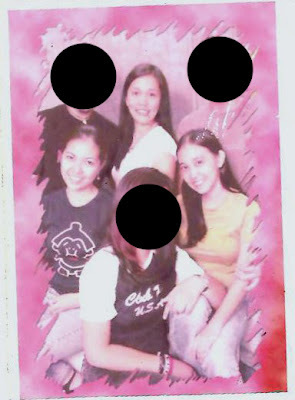 Things happened (aka some graduated earlier) and eventually we had different group of friends though Joyce, Janne and I had the same group of drunken people to spend the rest of our college life with. Last week, Kat arranged for us to have a meet up because it's been ages since we saw each other! We met up at Gateway Mall to have lunch and coffee afterwards. 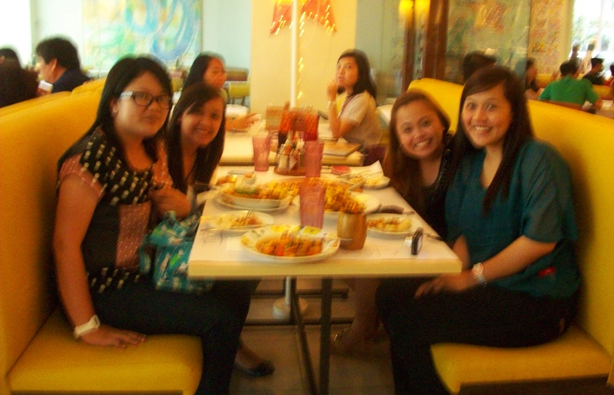 Lunch at Burgoo. Sorry for the blurred picture. 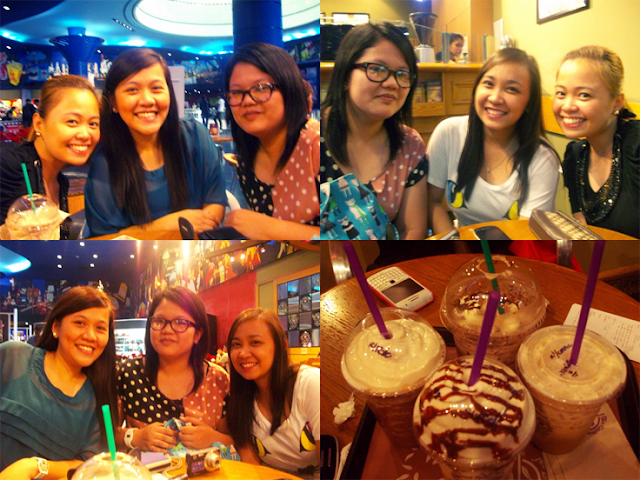 Coffee at CBTL (there's an odd one out). We all can't help but say that time flies so fast. It's been 8 years since we knew each other. Before, we would only talk about our grades, classes, professors, restaurants we should visit, movies to watch, heartaches and other classmates to gossip about. But now, it's about motherhood, overcoming a long term relationship and starting over and getting married! We are such adults! Most of us are on jobs not related to our course, I love the fact that they understand me on that aspect. This day was such a feel good moment that I really looked forward to. It's sad that Joyce wasn't there to share that day with us but I know we'll see each other soon.